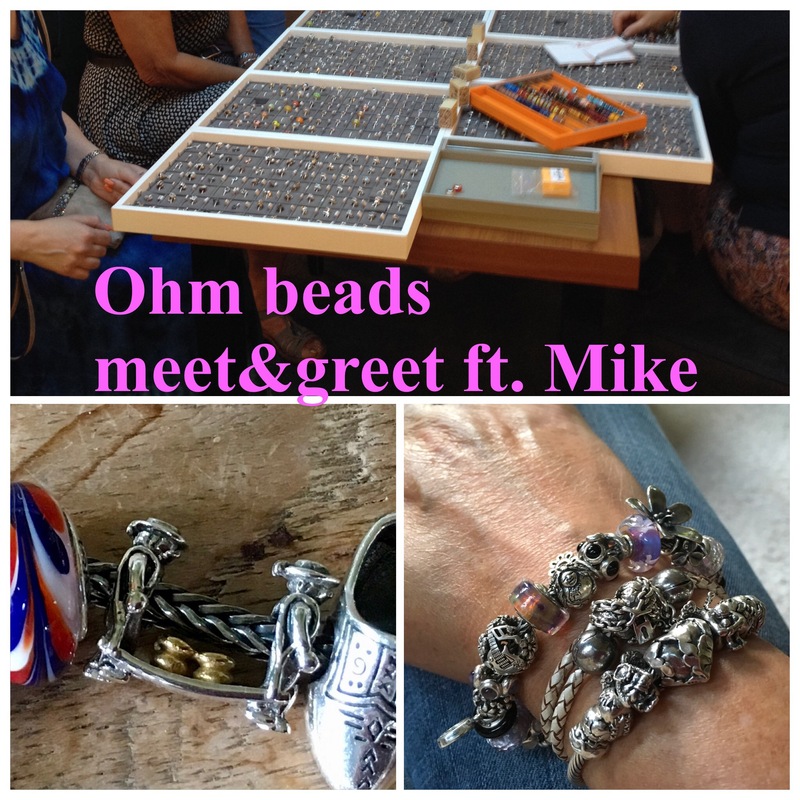 Ohm Beads Meet & Greet ft. Mike! 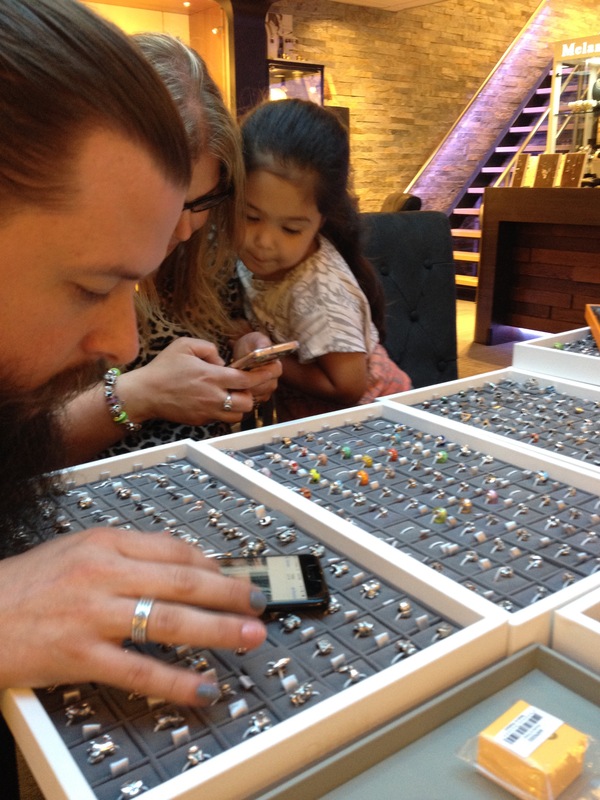 It was a week ago that Mike from Ohm beads traveled to the Netherlands. 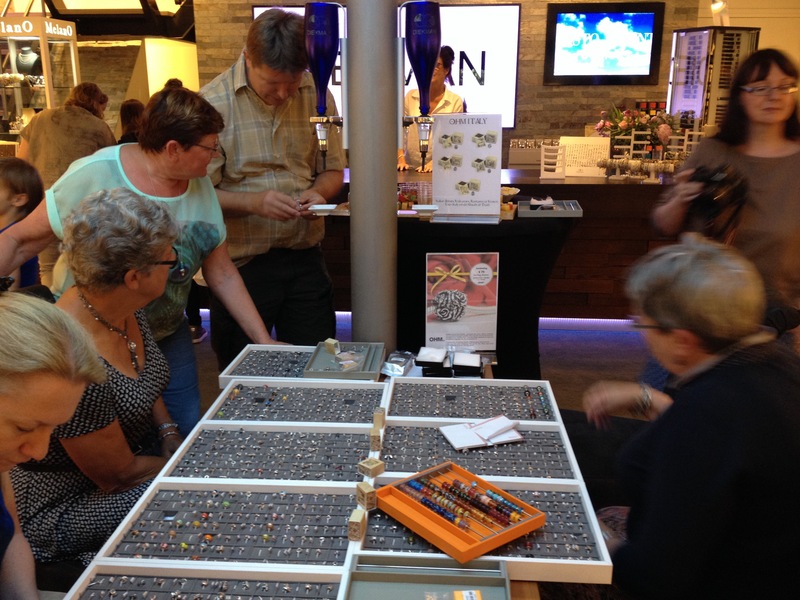 Frank from Ohm beads Europe organized a Meet & Greet at jeweller Diekman in Nijverdal. To prepare for the event I made a stack to wear on the day. 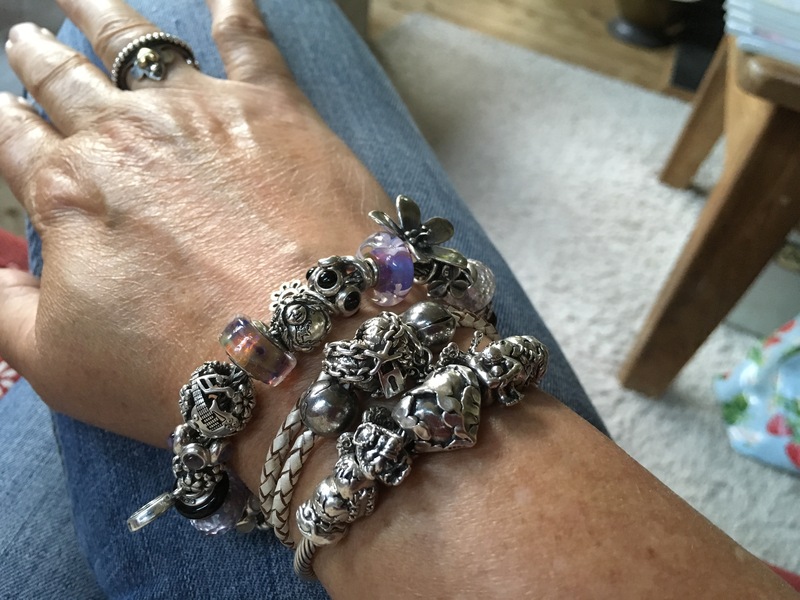 I am in love with my Woodstock bracelet (featured in an earlier blog entry) and added Open your Heart and Heart of Stone with the two OhmMyGod and two Love Hurts. 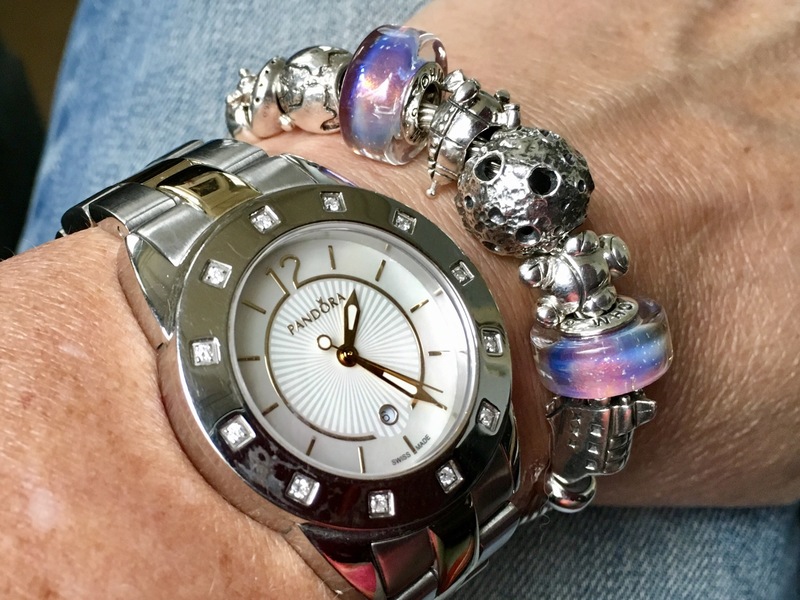 On the other wrist with my watch my SciFi bangle. So, well prepared I went on my way, excited to see beadfriends and hang out with Frank and Mike. This is like beeing a kid in a candystore! Frank brought a huge collection of beads and it was a joy to look though them! 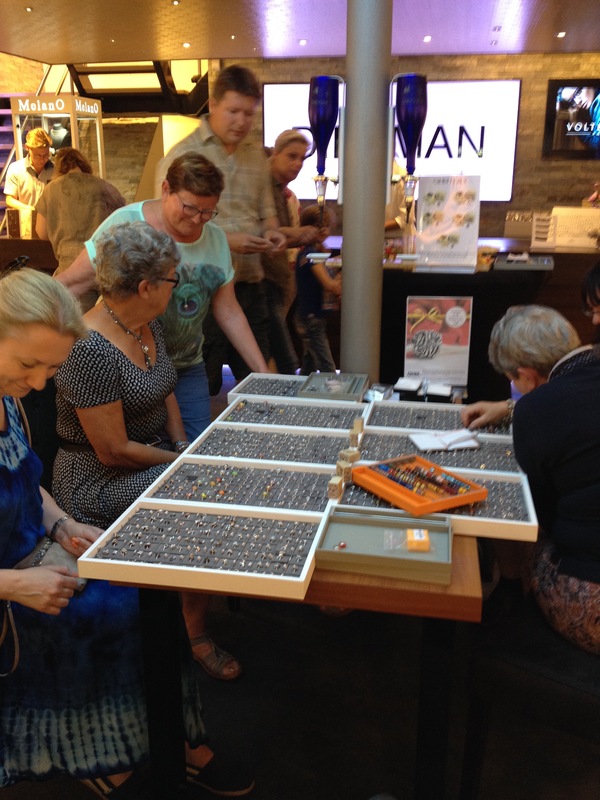 There were many retired beads and also the newest releases were present. The little boxes that stand in the middle of the trays are the beads from the Italy collection. These are only available in Italy, but just for this occasion we could look at and purchase them here! I was delighted to meet beadfriends old and new. I met Cari and Ruth again, we first met at the Meet & Greet with Kit Ohm last January and kept on talking online. And there were a couple of other ladies I know through the Facebook groups, it was so much fun to actually meet and talk to them in real life! Meeting Frank and Mike again was awesome! This was Mike’s first visit to Europe and the Netherlands and he enjoyed the Dutch hospitality! Frank already let him ride a bike and took him to the cheese shop! Everybody was busy taking pictures of the beads and the people. I already sorted some beads, here is the yellow box with Gouda! 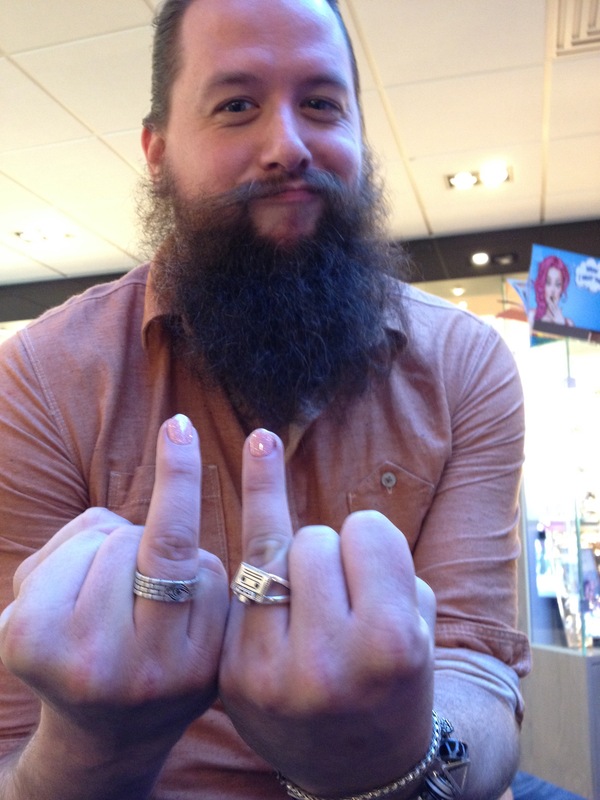 And here Mike models in his charming way some upcoming ring designs! 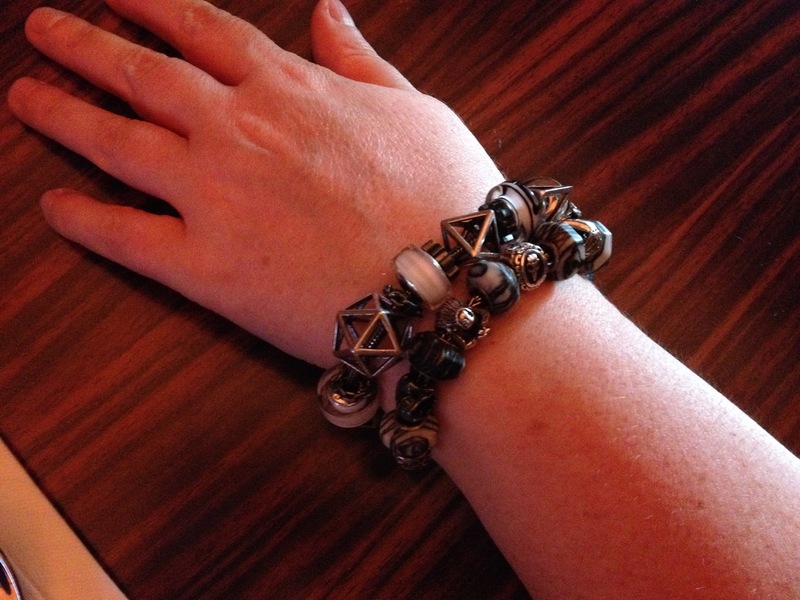 Ruth tries on Mike’s bracelet (well known from his Instagram pictures) for design ideas. The afternoon flew by and after a lovely dinner we had to say goodbye again. When I returned home I immediately unpacked my purchases. 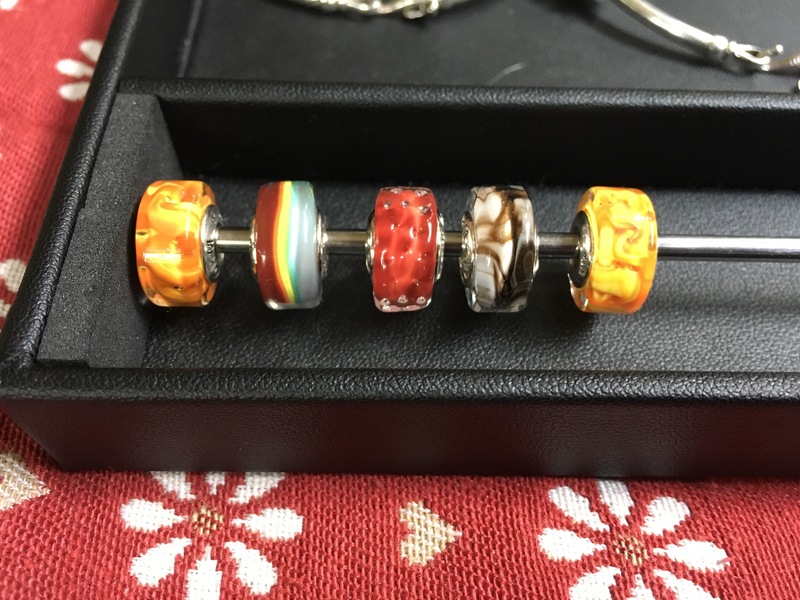 I got some glass beads I really wanted: Rainbowed, Strawberry and Hot Chocolate. 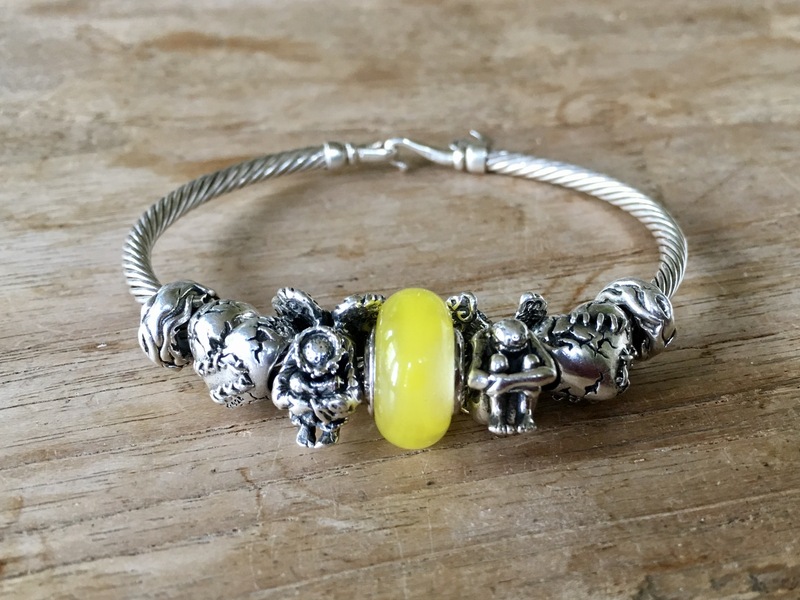 I also got this Lemon glass bead, from a long retired collection made by an American artist. From that collection I also have Cherry Sauce and Winter Frost. And here is Gouda, on my Dutch bracelet. 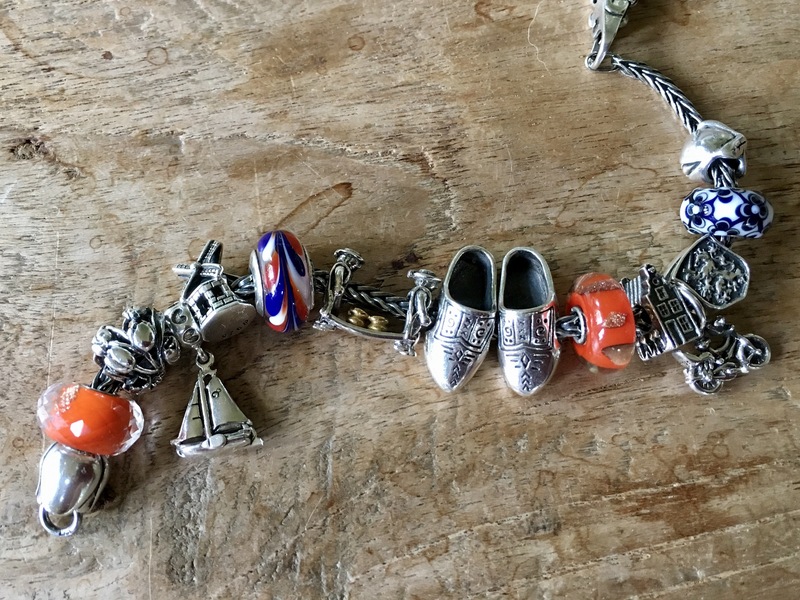 After I met Mike for the first time in 2015 he asked me for ideas for Dutch beads. I pitched some ideas, this was one of them. I later heard that there would be a cheese bead, but I had no idea about design. 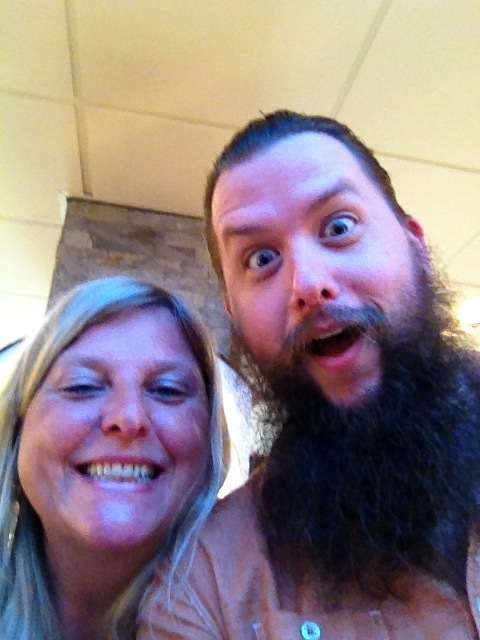 When I hosted traveling OhmGnome last year I posted a picture saying “we are ready to say cheese”. Frank was worried there was a leak but I never thought they would use that design idea! I am trilled that this made it into a bead! If you like to see more pictures you can find them on Ohm beads Meet and Greet Facebook page. The event looked like a lot of fun! Thanks for sharing your experience. 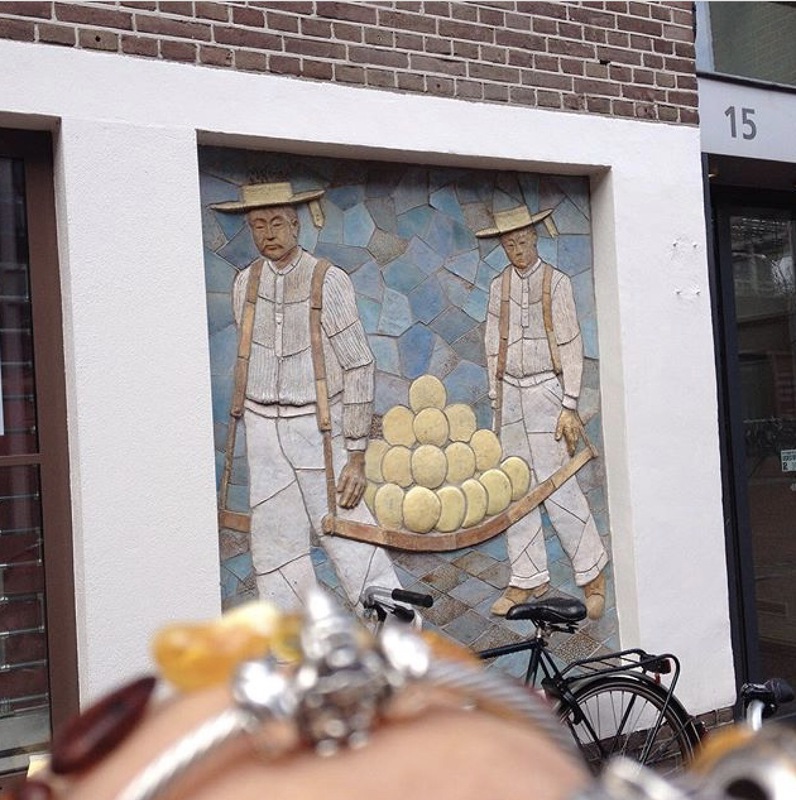 It’s so cool how you took a picture of the gouda mural before the bead came out! Thank you! Yes the Gouda bead has a lot of meaning for me! It was a fun and hart warming day! I wish you were too!